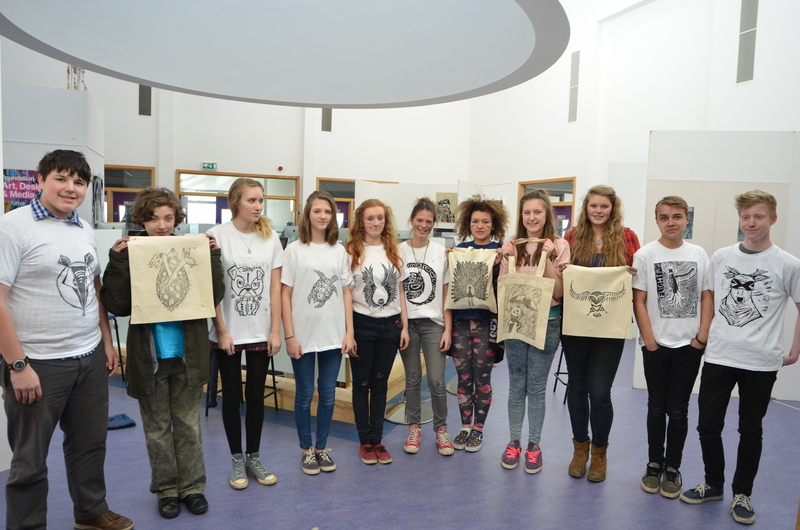 Another fun and art-tastic session was had by all at the Saturday Art Club here at Truro college. The students first carved out images in relief on lino. Then under Gwyls watchful eye they hand printed their unique t-shirt designs in our print studio. The finished results look great.